If you want to let your eyes to rest from constant eyelash extensions, but at the same time not to spent time to apply mascara in the morning then, Keratin Yumi Lash is perfect for you! 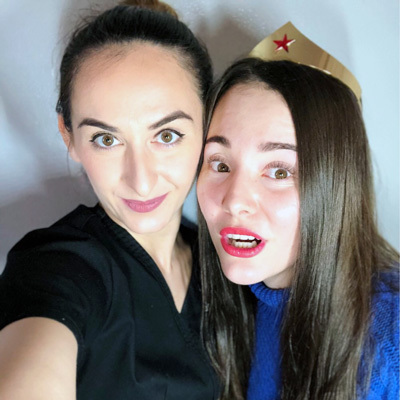 This time our expert came for a follow-up appointment with Anastasia for eyelash service. In this article, we will talk about microblanding myths and will share our experience about brow architecture. 1. We are so happy with our first visit, the result lasted for over two months! How long will it last after the second visit? I’m very happy that you enjoyed the result, it is the best reward for me when my girls (clients) are always happy and satisfied! The lash lift is actually going to last the same amount of time just because it is a natural life cycle of eyelashes. They have had a lifespan up to 3 months. 2. How long will it last on a customer that has a fair blonde or ginger hair? Actually, it will last the same for any type. There might be a possibility that tint can wash off a little faster. But it’s also an individual case because different hair reacts differently to pigmentation. 3. Who shouldn’t do Yumi lash lift? Definitely people with any type of infectious eye diseases. 4. What color and brand you chose for MyTopFace expert brows and why? I was using only YUMILashes brand for both procedures, keratin lash lift, and brow tint. Yumi Tint pigments are very persistent. 5. You also provide microblading for your customers. How is Microblading Differs to Permanent Makeup? Microblading is actually pretty new procedure on the market compare to permanent makeup. 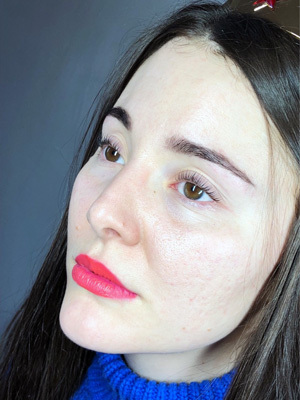 Permanent makeup sometimes can look very unnatural, it is designed to look like makeup. Microblading is completely the opposite. By drawing hair strokes it gives a very natural look. 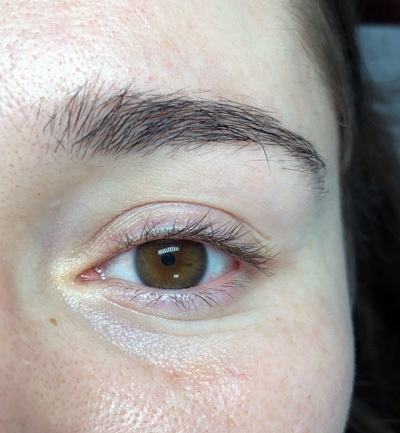 Microblading is a manual technique when permanent makeup gets done by using a tattoo gun. Also one of the big differences between these two procedures is that Permanent makeup lasts longer than Microblading. That’s why microblanding is semi-permanent makeup. 6. How long does a microblanding last? 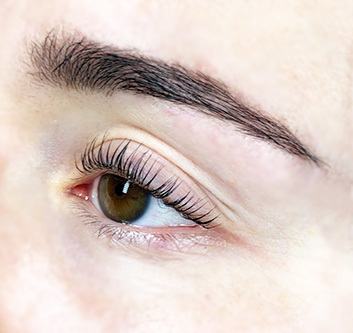 Microblading lasts up to 10-15 months and then the client can come back for a touch-up session, and the eyebrow shape can be changed depending on preferences. 7. Is shaving off eyebrows is necessary for microblading? NOT AT ALL. It’s actually very old fashioned to shave before getting semi-permanent or permanent brows done. 8. What’re your must-haves products for your beauty maintenance right now? My must-haves are actually a STILA Matte Patina lipstick and URBAN DECAY lip liner. And of course a sunscreen SPF 30 from FACE REALITY which is noncomedogenic, it doesn’t block pores! I apply it every 2 hours even on top of my makeup. We are extremely happy with Anastasia’s services and recommend her as an eyelash expert! We recommend taking care of your brows not only for a special occasion but to get this procedure to your beauty routine.